If you have been experiencing tooth sensitivity or pain, you may have a cavity: a hole on the surface of your tooth typically caused by plaque and enamel erosion. A composite resin filling, or tooth-colored restoration, is an effective treatment for this concern. A proper restoration can repair and prevent further damage, provide cosmetic improvement, and make you much more comfortable. Jason Fowler, DDS has been providing treatments like these for our community for more than a decade. The restorations that he uses look and feel like a natural part of the tooth, offering durability with an aesthetically pleasing appearance. Dr. Fowler’s highest priority is providing excellent care, which has earned him the trust of many happy patients. What Is a Tooth-Colored Restoration? Dental restorations return function, strength, and aesthetics to the teeth. Dental crowns and implants are both examples of restorations that replace the entire visible portion of a tooth. If you have a cavity but your tooth is in good condition otherwise, Dr. Fowler will likely recommend that you get a filling, which will repair only the damaged portion of the tooth instead of replacing the entire tooth with a crown or dental implant. Fillings are a well-established treatment method that have been in use for decades, and over time the techniques and materials that dentists have employed have also improved. Dr. Fowler offers his patients tooth-colored composite resin for their fillings. As part of the treatment, he will shape the resin to fill the cavity, bond it to the surface, and blend it to look like part of your natural tooth. A natural appearance. Dr. Fowler’s practice is designed around providing comprehensive cosmetic dental care. Using tooth-colored restorations creates a more aesthetically pleasing smile for his patients than other options like gold or amalgam. Durability. Tooth-colored restorations are a long-term treatment for cavities, making them as appealing to patients as other solutions but with a more natural appearance. Tooth conservation. Options that use metal may require a dentist to remove more of the tooth in the area around the cavity. Composite resin doesn’t present this problem because it bonds to the tooth’s surface. 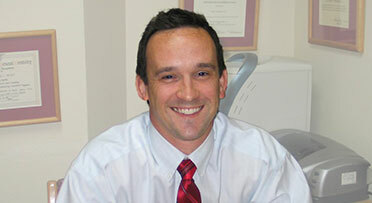 During your visit, Dr. Fowler will be happy to talk about the benefits of tooth-colored restorations. He values your confidence and always takes the time to answer his patient’s questions and discuss his approach. As a patient, you will find Dr. Fowler’s practice to be a quiet, calm environment for receiving care that is personal and timely. We strive to treat our patients like family and always work at a comfortable, careful pace. Dr. Fowler’s approach is to provide proactive treatment, which can prevent discomfort and tooth damage down the road. During your visit, he will conduct a comprehensive examination and may take photographs and digital X-rays to evaluate your needs. He will help you understand his treatment plan and can use in-office monitors to show where and why this treatment is necessary. Fowler will remove the damaged portion of your tooth around the cavity. He will clean the area in preparation for the filling. Depending on your needs, he will either add, cure, and shape the resin directly or use the CEREC® system to restore your tooth. Treatment is relatively fast, and you should have no significant discomfort or downtime after your visit. In a traditional (direct) approach to tooth-colored restoration, Dr. Fowler will place a small amount of composite resin in the cavity, use a special light to bond it with the tooth, and repeat the process until he has filled the cavity. Next, he will shape and polish the restoration for a natural and attractive appearance. As an alternative to the direct approach, Dr. Fowler is one of the only practitioners in the region who offers CEREC: a combination 3D camera and milling system that scans the tooth and creates the restoration in-office. Scan the cavity with a small digital camera. Design the restoration based on these scans. A CEREC restoration will have nearly perfect margins and contours. When Dr. Fowler bonds the restoration in place, it will seal the cavity more precisely and look even more natural than a direct resin application. Dr. Fowler invests in these types of advanced tools to offer patients the highest quality of care. He invites you to visit his practice to experience the benefits for yourself. If you are having tooth sensitivity or pain, Dr. Fowler encourages you to schedule an appointment with his practice. Contact us online or by phone at (817) 731-6386.